The Niagara Inn is ideally located on Lundy’s Lane, a direct route to the Falls and Niagara’s various attractions. The motel will help all guests experience the comfort of our tastefully decorated rooms and fill a touch of luxury. Guests can also enjoy relaxing in one of the newly installed Jacuzzi’s or in our outdoor pool after a day of sightseeing. 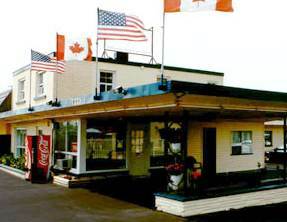 Very competitive rates, professional approach to the client service, and incredible location right in the heart of Niagara Falls’ Tourist Area make Niagara Inn Lundy’s Lane Motel the best choice for sensible guests. Factory outlet mall down the street.